I also dug out the last of the Charlotte potatoes (uncovering a very angry ant colony in so doing!). This made space to plant the 2 bunches of leeks that I bought at the Friday market. I cut off the tops as instructed at one of the allotment lectures and used my leek dibber, made from the tapered wooden handle of a garden fork I broke with over-vigorous digging earlier in the year! Then just topped up with water and will leave to fill in over time. 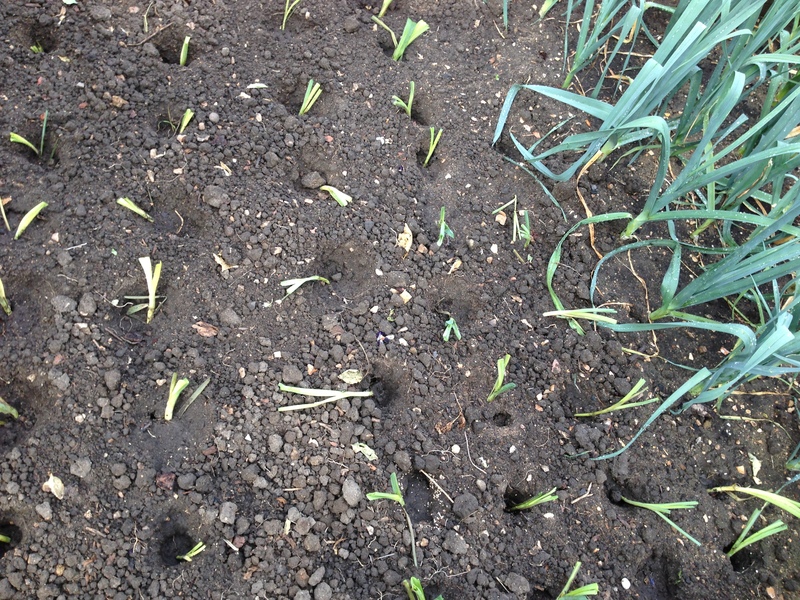 The leeks I planted earlier in the summer are coming along well so we should have a good ongoing supply for winter soups. 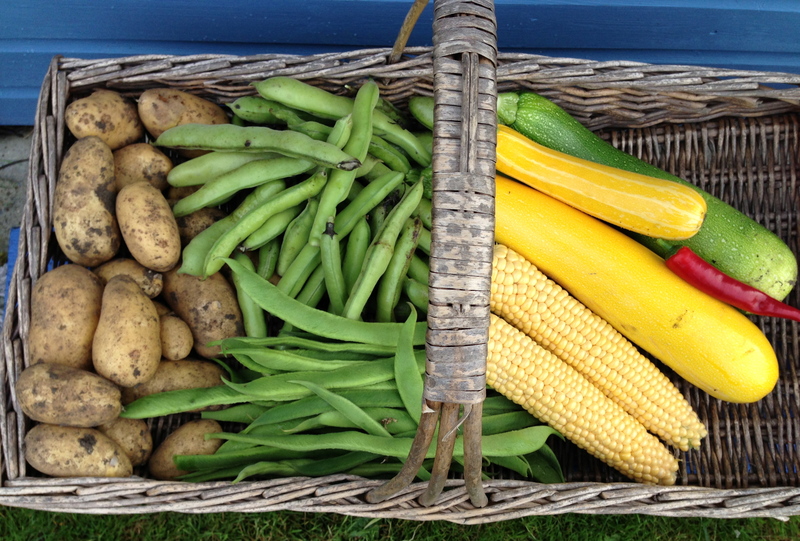 The harvest today included the very first sweetcorn and tomatoes. 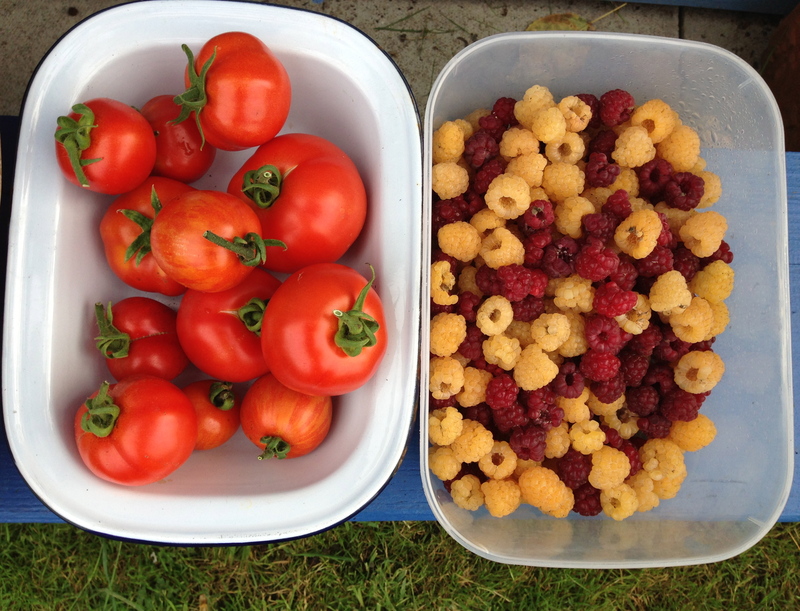 This entry was posted in Allotment and tagged James Galway Rose, sweetcorn, yellow raspberries. Bookmark the permalink. 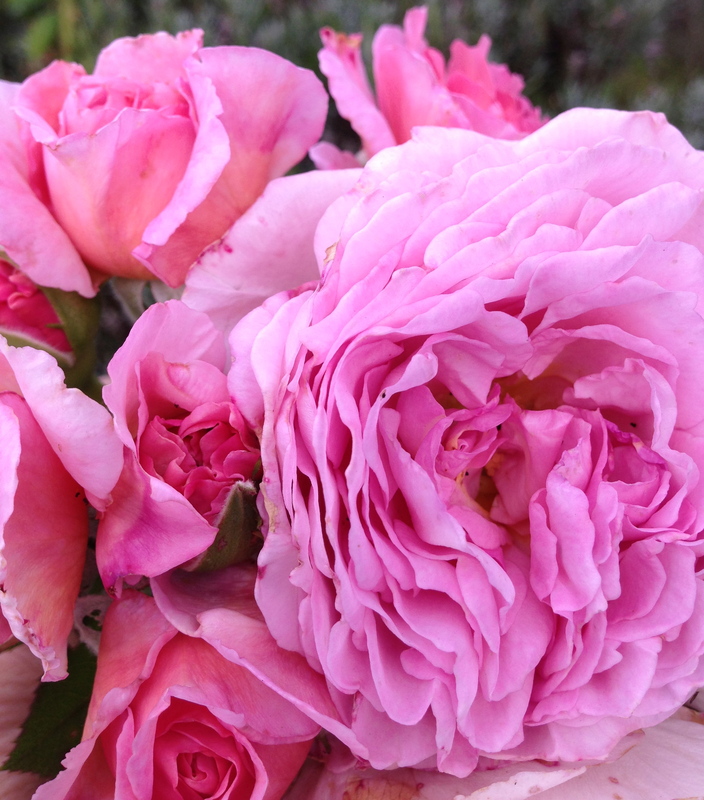 Re: roses, I have two late Brave Hearts opening, a delight.